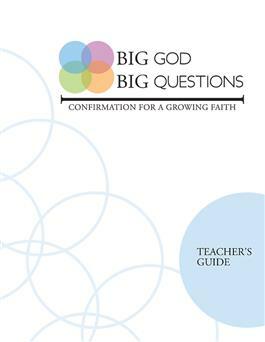 Big God Big Questions guides teachers as they lead young people to tell their own story as Christian believers through study of the Bible, Reformed tradition, the church, and their local congregations. The Teacher's Guide offers built-in options for 12 to 24 sessions. Excellent teacher helps and age-appropriate activities enhance each session. 101 activities (included) can be used as a pre-confirmation study or a ready resource during the Confirmation class. The Teacher’s Guide is also available in a Downloadable format. - Who is your Lord and Savior? - Will you be Christ's faithful disciple obeying his word and showing his love? - Will you devote yourself to the church's teaching and fellowship, to the breaking of bread and the prayers?